Rhythmlink's FDA Approved MR Conditional*/CT Electrodes help eliminate the need and cost to have staff available to remove and reapply EEG electrodes each time a patient requires magnetic resonance [MR] imaging during critical care continuous EEG [CCEEG] monitoring, long term epilepsy monitoring or any other situation requiring 1.5 and 3T MR imaging. Rhythmlink's Disposable MR Conditional*/CT Electrodes can safely remain on a patient within an MR environment, but are not meant for recording during imaging. Featuring four disposable EEG electrodes, the Disposable MR Conditional*/CT line consists of the Deep and Slim EEG Cup electrodes, Webb™** electrodes and PressOn™** electrodes. Our MR Conditional/CT line includes a new quality assurance design, a nine inch disconnect ensuring that the disconnect point can easily take place outside of a headwrap providing easier cable management, four color groups with up to 48 disposable EEG electrodes to enhance high electrode protocols and numbered heat shrink to guarantee accuracy upon re-connection. Slim cup disposable EEG electrodes provide high quality recordings and eliminate the risk of cross contamination to ensure your patients are safe, all while reducing the time and cost of having to remove and reapply EEG electrodes. This particular electrode offers all the same great benefits as our Slim EEG Cup and also features a cup that holds 3.5 times more conductive material. A flat EEG electrode that increases patient comfort and includes a larger recording surface than traditional cups, our MRI Conditional/CT Webbs are the perfect option for long term or continuous EEG monitoring. Webb and Cup electrodes can be easily mixed to help reduce skin breakdown on the forehead and other areas at risk. An MR Conditional version of the innovative PressOn Electrode that is the first product on the market to be specifically designed for you and your staff to collect CEEG quickly and accurately. Utilize your staff already available to apply the electrodes immediately to the patient when needed. Learn more about the PressOn here. 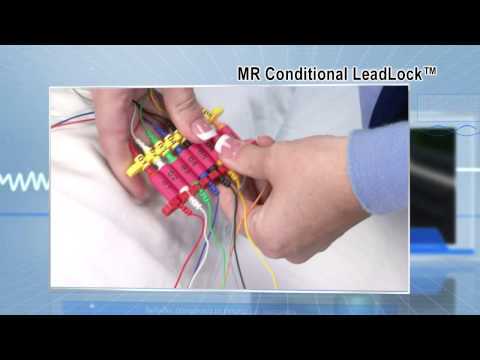 The LeadLock allows easy and accurate disconnect and reconnect of electrode sets as the patient goes to and from imaging and allows each service to customize their own color-coded and numeric protocols. For more information regarding MR Conditional*/CT electrodes visit mrelectrodeinfo.com, our Technical Support page, or read our white paper that compares the costs and patient benefits for using the Disposable MR Conditional/CT Cup line versus the traditional EEG electrodes. 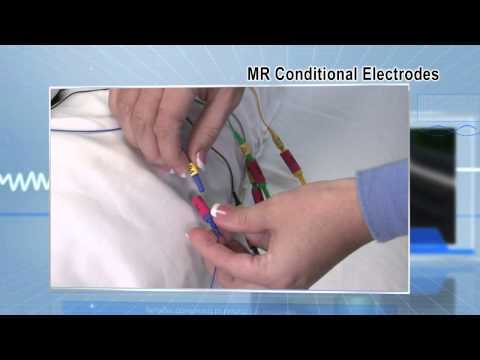 Disposable MR Conditional*/CT PressOn Electrodes are not part of Rhythmlink's sample program.